Car people talking about the car business. 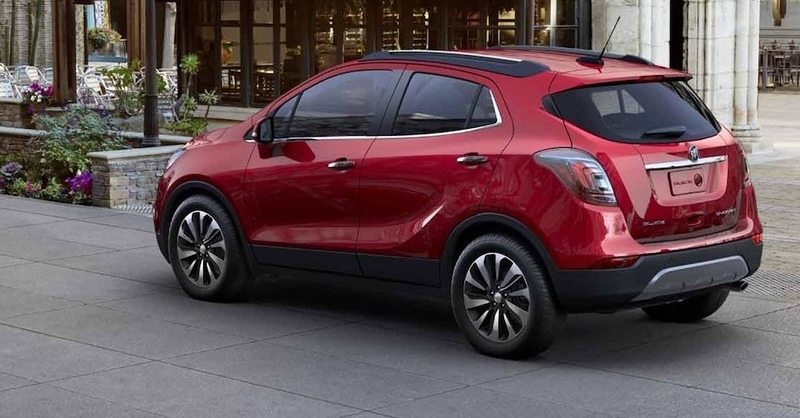 The 2020 model year is the one that marks when the second generation of the Buick Encore will make its way to the market. This impressive small SUV has been one of the leading products from Buick for a long time and it’s been seen in testing garb out on the roads around South Korea where it’s being developed. The first time it arrived for testing was in March and now we’ve seen this SUV wearing much less to cover up and disguise what it might be. The most recently spotted model is one that shows off more up front that we saw in the previous tester of the Buick Encore. This new model gave us a look at a different set of headlights which feature circular projector-beam headlamps and a set of daytime running lights at the corners. The LED-based lighting elements aren’t present on this most recent tester, which could be a change for Buick away from LED lights up front when this new SUV heads to the production line to be built and enjoyed around the world. Up front, we also see a new grill which features a new wing-style design around the logo. The hood shown on the new testing mule of the Buick Encore slopes less than the one we see today which also means we see a front fascia that appears to be a bit stubby on this new model. There are two large wing mirrors and a fast-sloping windshield to give us a full look at what we might think the front will look like when it arrives on the market in 2020. Thankfully, we should get a view of the new production model of the Encore at a show prior to the release. Even though the camo is covering up most of the rear end, there appears to be a set of production taillights that consist of two circular lights placed next to each other in one cluster. The wheels this testing mule was riding on are a full set of dual five-spoke wheels that have a dark look to them. These wheels might show up in a Sport Touring model to be one of the options you can choose when the 2020 Buick Encore arrives on the market. The expectation is that we’ll see the new Encore in the second half of the 2019 calendar year to be able to purchase the model. We haven’t been told where the new model will be built, the current model is built in the GM Bupyeong Plant in South Korea, but we might see this crossover being created in the US for the future. Expect more information to be offered as we come closer to the release date for the Buick Encore and make this the vehicle we want to enjoy driving on the roads we travel every day. Why is the New Mazda3 Old Fashioned? Copyright © 2019 Car Reporters. Powered by WordPress and ThemeGrill.